Are you doing marketing with ads to gain traffic to your website? Finding the happy balance between an online ad that just gets clicks and one that gets a healthy ROI – not to mention the results you’re looking for – can be tricky. Whether marketing via a banner ad, text ad, search campaign, or email broadcast, the way in which the advertising message is worded can make a huge difference in the kind of return you see on your ad. First off, you need to decide what you’re trying to accomplish with the ad. Do you want people to book a vacation through your site? Are you hoping to get new sign-ups for your email newsletter? Or are you pushing a limited time deal? Depending on what action you want the user to take once they get to your site, you’ll want to land them on the page that makes most sense for them to do so – therefore, make sure the ad matches up with where you’re sending users on your website. If you want to push African safaris and are landing users on that section of your website, make sure the ad says something about African safaris – don’t make it a broad “Vacations to Everywhere” banner ad. You’ll frustrate the user and not get the type of traffic you’re looking for. Likewise, if your ad is to “Book a 7-night cruise to the Mediterranean for just $499 today” land them straight on that sailing; don’t put the user on the homepage and make them search for the sailing as you’ll likely get fewer bookings. Remember that “Vacations to Everywhere” example? There’s another reason having such a generic ad can be a bad idea. Having lots of users click on your ad can seem like an advertising win, but if you’re paying by CPC (cost per click) and your ad messaging is too broad, you may end up seeing a poor return on your ad investment. Qualify your users with the ad messaging so you’ll increase your chances of getting the best kind of traffic for your site. A call to action (CTA) is you telling the user what you want them to do. Whether it’s as simple as “Click Here” or “Buy Now,” or as detailed as “Click to sign up for our newsletter and get exclusive vacation savings” or “Book Today and Get $50 off Your Rental Car” you want your ad to clearly tell users what action you want them to take. The more detailed the message, the more qualified the traffic. Depending on your branding and ROI goals, you’ll have to decide accordingly how limited you want to make the interest scope for the ad. With online marketing today, you have many options for how to tailor and target your advertising. Messaging is an important part and is only the start. With segmenting, retargeting, and more options, you can set up your marketing messaging to get even stronger results. 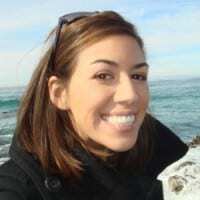 Author Bio: TBEX Dublin speaker Gina Tarnacki is a freelance travel writer and marketer. She is the owner of Tarnacki Marketing, a boutique marketing and writing agency. She has six years of travel marketing experience, including working as the Director of Marketing for a large online travel agency. In addition to conducting online marketing for an array of mostly travel-based clients, she also writes for a number of travel publications, including her personal blog, OneDayinaCity.com.